There is a whisker and spinnaker pole. The Moody 34`s replaced the 333, having a slightly longer hull, the 34 had much improved space, especially in the aft section. All in all, there were many improvements, such as larger fore cabin, improved stowage, better headroom, more sail area but to name a few. This model has benefitted from lots of maintenance and upgrades, including reupholstery, new Eberspaecher heating system, heads, led lighting, cockpit cover and spray hood, rib, air-cooled outboard, Battery charger, and gear box. Davits have been fitted for easy access and stowage of the dinghy. She was soda blasted and two coats of epoxy was added, including the keel in 2015. In good overall condition, which is evident from the pictures. 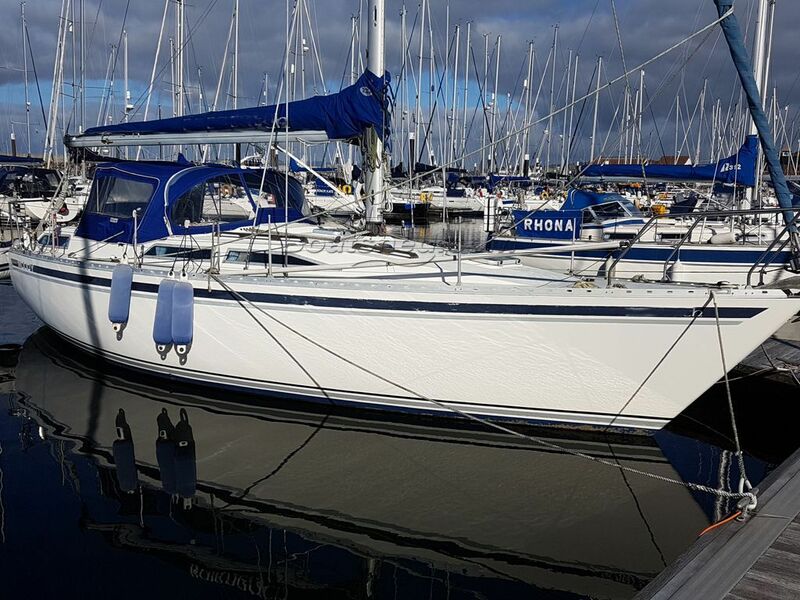 This Moody 34 has been personally photographed and viewed by Ian Sawkins of Boatshed Scotland. Click here for contact details.